Working on excavations at the Burch House site at Port Tobacco. Photo Courtesy Kelley Berliner. As a kid, historical markers, antique malls, flea markets, steam engine tractor shows, and just about anything else that had to do with old things were mandatory stops on road trips with my dad, so it did not come as much of a surprise that I developed a fondness for history from an early age. Growing up in Maryland with its extensive native, colonial and Civil War history meant there was never a shortage of places to explore. Flash forward to the week after graduating with a B.A.in Anthropology from the University of Toronto. I found myself on a volunteer excavation run by the Archaeological Society of Maryland. The site was Port Tobacco, an early colonial port town located in southern Maryland. It is also the likely site of Potobac, a Native American village associated with the Piscataway Indian Tribe. 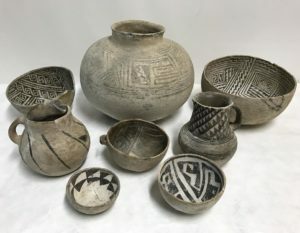 The work consisted of sorting through a myriad of prehistoric and historic artifacts while uncovering some of the foundations of the early town. My enthusiasm for working in the dirt landed me a job with the archaeologist supervising the excavation who ran a small cultural resource management firm that focused on archaeological testing in central and southern Maryland. After learning skills in both the field and lab, not to mention how to deal with tick bites and other less-than-pleasant parts of the job, I decided archaeology was the line of work for me and headed to the College of William and Mary in pursuit of a master’s degree. As I narrowed my research I realized that one thing really stuck with me: the importance of making archaeology accessible to the public. This was certainly not a marvel conclusion—many archaeologists have been arguing for more public and collaborative archaeology for decades—but it did help determine how I wanted to engage with the discipline. I returned to Port Tobacco for my M.A. research where, instead of spending my time excavating, I interviewed the residents to see how they felt about the work being done. The resulting conversations revealed a mix of enthusiasm and frustration. Some of the town residents felt like the archaeologists ignored their input, and many disagreements came down to biases inherent in historic locally-produced maps and the problems of memory and nostalgia. While no simple solutions to these disagreements exist, my experience lead to greater insight of how people engage with the past and how archaeological research, grounded in fact-based evidence, had the potential to generate serious conflict within parts of the community. 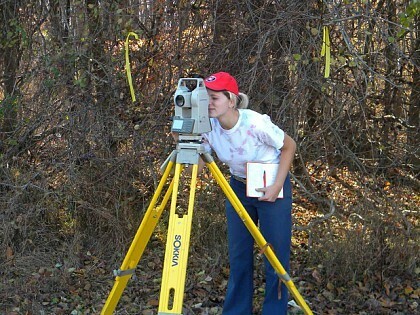 Learning how to use a total station to map coordinates of shovel tests during survey work. Photo Courtesy Kelley Berliner. 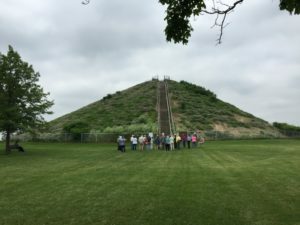 This experience was useful during a summer working as the Public Outreach Coordinator for the Fort St. Joseph Archaeology Project in Niles, Michigan. This amazing site was thought to be lost under the river until archaeologists from Western Michigan University began testing along the banks and revealed intact deposits. 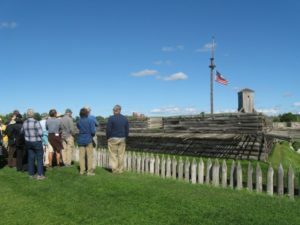 The fort dates to the 1690s and has associations with the French, English, Spanish, and United States armies (which is how the City of Niles earned the nickname ‘City of Four Flags’). At this site I assisted with excavations, tours, and event planning, including making arrangements for the annual Open House. I regularly worked with residents of Niles, some of who sat on an advisory council for the project. 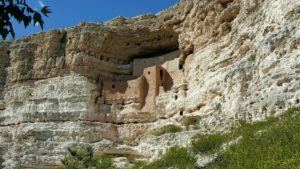 The more I spoke with residents the more I learned about the challenges presented when archaeologists and residents have somewhat differing visions for the future of a public archaeology project. 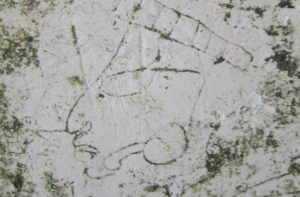 These issues are still being navigated during ongoing excavations of the fort. 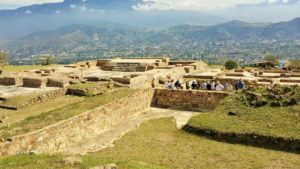 This experience reinforced how I wanted to participate in the discipline: while I thoroughly enjoyed excavation and research I wanted to continue to find ways to connect people to archaeology. The author with Niles resident Barbara Cook (here in period garb), a longtime supporter of archaeology and public outreach at the Fort St. Joseph Open House. Photo Courtesy Kelley Berliner. Moving to Montreal after finishing my degree offered yet another perspective. Here the communities of First Nations peoples face difficulties in having their stories heard against the backdrop of both English and French exploration and settlement. After spending a few years working with various departments at the University of McGill, I headed back south to my Mid-Atlantic homeland after taking a job with the Archaeological Conservancy. Canada is full of fantastic sites (check out our upcoming Canadian tour!) but I was happy to move back into territory that was more familiar. Looking at site maps with Conservancy President Mark Michel and Maine State Archaeologist Art Spiess at the Dresden Preserve in Maine. Photo The Archaeological Conservancy. Working for the Conservancy has given me the opportunity to visit some of the most amazing archaeological sites in the region, sites that I never imagined I would have an opportunity to see, much less help preserve and maintain. While it would be difficult to choose a favorite site, I particularly enjoyed working on the Footer site which became a Conservancy preserve in 2015. This site is dear to me as the first acquisition that I was a part of from the very beginning, being responsible for finding the site in museum records, collecting information on the excavations that had been conducted, and then working with the landowner to see it permanently preserved. 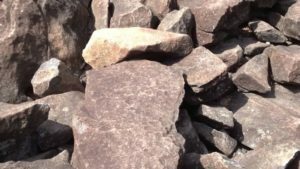 The Footer site came to by attention while doing research at the Rochester Museum and Science Center, which holds the files for the archaeological sites in that region of New York. Research conducted in the 1950s resulted in the identification of several pre-Iroquoian sites in the region, one of which was the Footer site. 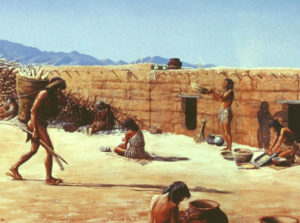 It was identified as a pre-Iroquoian habitation site that dates to between AD 1300 and 1500. After reviewing the excavation notes the site seemed like a good fit for preservation and the Eastern Office reached out to the landowners, Joe and Janet Green. 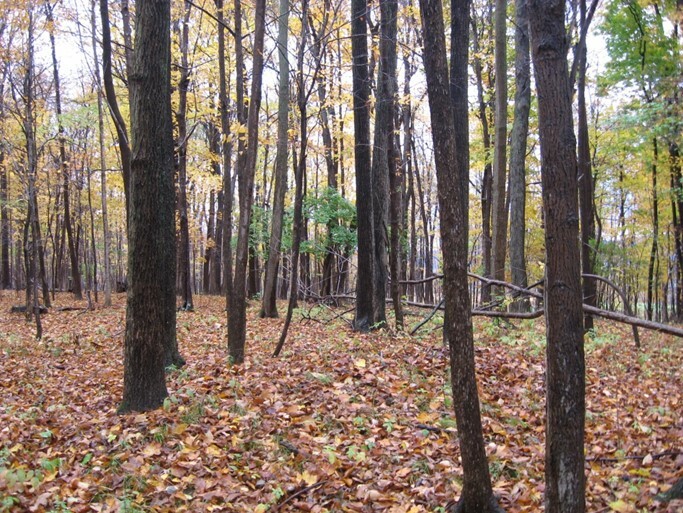 The Footer Preserve in New York State. Photo The Archaeological Conservancy. History lovers themselves, Joe and Janet kindly welcomed us into their home and happily entertained our visits to the site. 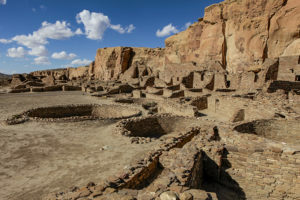 They had been excellent stewards of the site, and agreed to a bargain-sale to charity to have the Conservancy permanently protect the resource. 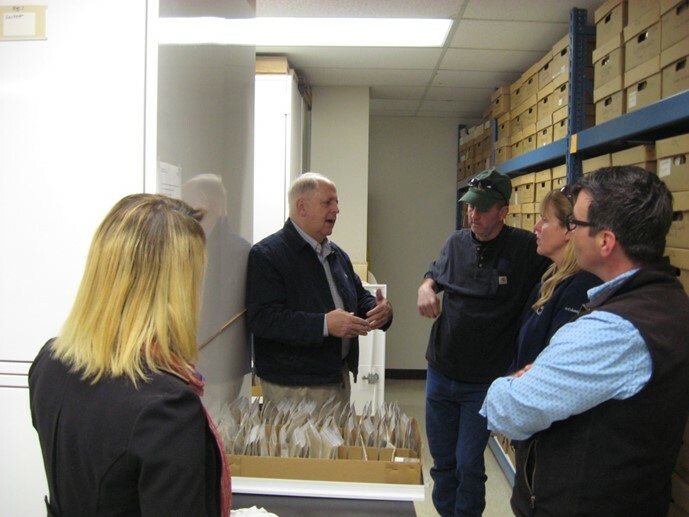 Given the Green’s interest in the site we were able to arrange a behind-the-scenes tour at the Rochester Museum. Kathryn Murano Santos, the Senior Director for Collections and Exhibits, and George Hamell, Curator of the Rock Foundation Collection, helped pull some of the artifacts from the Footer site. It was great to have the opportunity to share these resources with the Greens. 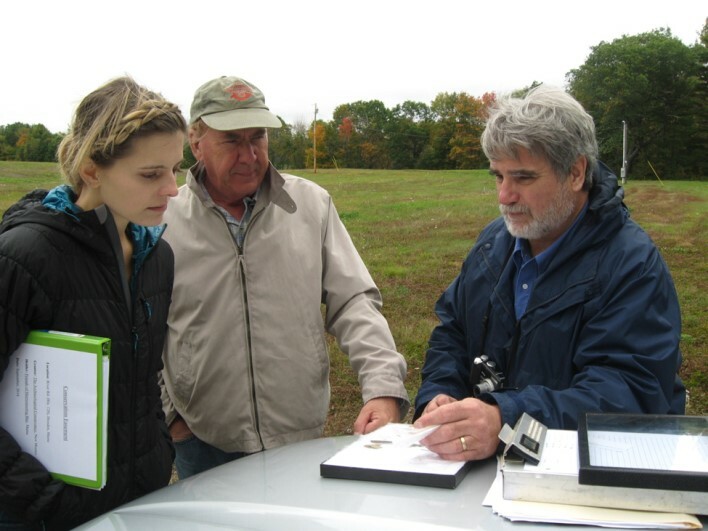 Working with landowners is a big part of the job, and this is a critical type of public outreach as we explain sites and the importance of protecting them on a case-by-case basis. Each time we contact someone about a site there is an opportunity for engagement and collaboration. Working with the Greens was made easy since they were already aware of the site’s importance and were eager to collaborate. George Hamell discussing the Footer site at the Rochester Museum. Photo The Archaeological Conservancy. The Archaeological Conservancy has shown me yet another way of conducting public outreach in archaeology. After all, the sites we are preserving are places where this land’s most important history took place, and they deserve to be protected for the education and enjoyment of future generations. Working with researchers and landowners on such a personal level had emphasized this importance, continuing to remind me of the necessity of engaging the public in order to continue to garner support and interest for ongoing archaeological research and preservation efforts. On that note, a gracious thank you to all of our members and tour participants who recognize the value of archaeology and support the Conservancy’s efforts! Bio: Kelley Berliner has served as the Eastern field representative since 2013. She holds a BA in Anthropology from the University of Toronto and an MA in Historical Archaeology from the College of William and Mary. Prior to joining the Conservancy she spent time working as a cultural resource management archaeologist and was involved with the Port Tobacco and Fort St. Joseph Archaeology Projects. Her efforts in these projects kindled her interest in working with property owners and promoting archaeological outreach. 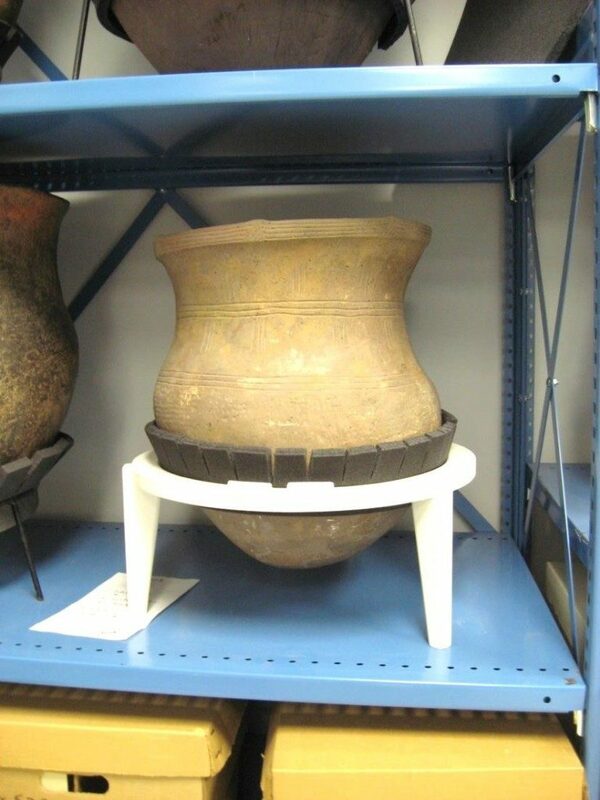 An incised pot from the Footer site, at the the Rochester Museum. Crowdfunding Helping to Save Endangered Sites – Last Day!